The overwhelmingly Left-wing foreign policy establishment in the United States would not normally let slip that it is not all peaches and cream in Africa, that in fact the continent is a black hole which will absorb aid funds without trace for all eternity. So what gave Foreign Policy cover to report that the U.S. ambassador to Zimbabwe, a man of African ancestry, continues to be vilified in derogatory racial terms by the Zimbabwean government? It is likely to be have been President Trump’s reported comments using a pithy aphorism to describe some sources of migrants. The President expressed a preference for migrants from Norway. Perhaps he was thinking of the likes of Ann-Margret who migrated to the United States in 1946. Other Norwegians have been less pleasant, and there is a tie to Zimbabwe. Norway had a prime minister by the name of Gro Harlem Brundtland in the 1980s who financed the establishment of communist regimes in southern Africa, secretly through the Norwegian Development Agency. That is one reason why the Brundtland commission on climate, the forerunner to the UN climate commission, had many meetings in Harare in 1986-87. Not to be outdone, Norway’s neighbour Sweden was up to no good in Africa at the same time. Sweden had a secret military cooperation with Robert Mugabe and his head of state security Comrade Mnangagwa, who recently replaced Mugabe as the country’s dictator. It was funded by the Swedish International Development Agency (SIDA). This cooperation was top secret–even for the Swedish parliament who voted the money to SIDA–going on from 1969. Similar activities were made by Swedish socialist governments to establish communist regimes in South Africa, Ethiopia, Angola, Mozambique, Guinea Bissau and Zambia. Swedish Prime Minister Ingvar Carlsson hand-in-hand with Mugabe in April 1989 during an official visit to Harare, Zimababwe’s capital. Carlsson had a month earlier returned from a visit to East Berlin where he had discussed further military cooperation in southern Africa. Sweden may have been doing its best to advance the cause of communism in Africa but that did not necessarily endear them to the Soviet Union. In 1996, some Russian gangsters tried to kidnap the Swedish industrialist Peter Wallenberg from his island residence in Stockholm. Wallenberg’s security guards overwhelmed the gang who were then picked up by police. The police found a rubber speedboat full of advanced diving gear of military type. So the suspect criminals were handed over to the secret services for interrogation. After some weeks they started to talk. They were retired spetsnaz. They then showed the navy were they had been diving in waters close to Stockholm’s center. Swedish navy divers then found big metal containers, rusted, full of manganese dioxide and graphite. The containers were batteries that had been the power supply for tactical nuclear mines, each weighing about 200 lbs. There were probably emplaced in 1986. The divers came from a special GRU unit in Kaliningrad Oblast. The nuclear mines had been removed in the beginning of 1990s. They left the batteries. The Soviet Union had no plans for a wholesale occupation of Sweden. They just wanted to be sure that they could deny NATO access to Swedish harbours, airfields and airspace. The intention was to close down Swedish infrastructure and government. Probably 20 nuclear mines were hidden in different places in Sweden. Similar activities were going on in Denmark and Norway. The nuclear sabotage activities were undertaken by special GRU units directed from Moscow, not known to the regular Soviet military commanders in the Baltics. Due to a peculiar form of self-loathing, the pathology of which is hard to comprehend, Sweden continued its love affair with the Third World over the last few decades and invited many Third World types to live there. The Swedish Government is now considering sending in army units to regain control of areas that these people live in. So Sweden is reaping what it sowed in southern Africa decades ago in trying to force communism on black Africans – evidence for a just God perhaps. So, Mr President, be careful what you wish for. 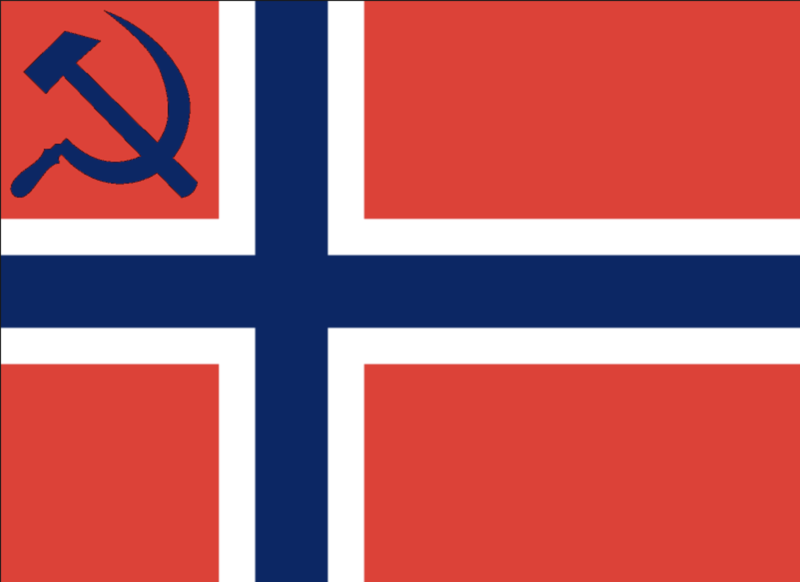 Some of those Nordic types might look pleasant enough but they could have communist tendencies and be just as nasty as the people from those other countries you referred to. David Archibald is the author of American Gripen: The Solution to the F-35 Nightmare and Twilight of Abundance: Why Life in the 21st Century Will Be Nasty, Brutish, and Short published by Regnery in 2014.